In May 2017 a separate survey indicated mortgage stress is on the rise. While influencing factors varied from area to area, in general large loans and flat wages were seen as driving forces. And this is at a time when interest rates are still relatively low – but on the move! Another recent study showed that 39% of Australians wouldn’t have enough savings to maintain their lifestyle or meet their commitments if they lost their income for 3 to 6 months. In fact, the same study showed an alarming 17% would find it difficult to access $500 to $1,000 in an emergency. For millions of Australians, maintaining a lifestyle simply means paying the mortgage (or rent) and keeping on top of the bills. Not everyone takes an overseas holiday every year! When taking out a mortgage – and for most of us this is the largest amount of debt we’ll ever have – just ‘hoping’ for the best isn’t likely to pay the bills or mortgage should the unexpected occur. Mortgage stress usually affects people paying more than 30% of their pre-tax income on their home loan repayments. 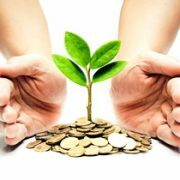 This is the highest level of recommended financial commitment you should incur to maintain some ‘wriggle-room’ in your budget and stay out of financial trouble. Mortgage stress is a real issue for many home owners but there are ways to avoid it. And, if you do experience mortgage stress or get into financial difficulty, help is usually available. 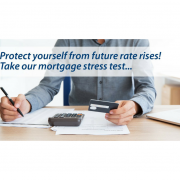 To check your situation, why not take our mortgage stress test. STEP 1 Calculate your monthly (weekly or fortnightly) mortgage repayment. STEP 2 Calculate your monthly (weekly or fortnightly) pre-tax income (combined if you share the mortgage). STEP 3 Calculate your monthly (weekly or fortnightly) pre-tax income (combined if you share the mortgage). Divide your pre-tax income by your mortgage repayment (= Step 1/Step 2). That’s your percentage of income you are spending on your mortgage. STEP 4 If the result is close to or over 30% (0.3), then you need to call us BEFORE it’s too late. Another stress test is to work out your mortgage repayments at a 2.5% higher interest rate and then do the same calculation. Again if your result is close to or over 30% we need to see you now. For example if you have a home loan of $350,000 over 30 years at 4.5%, your repayments would go up from $1,773 per month to $2,329 per month if rates were to rise by 2.5% (to 7% – the historical average). That’s $556 per month (or $128 per week)! It might even pay to do the same calculation exercise at a rate of 9% (about the highest it has been in the past decade – in late 2008) as a real safety net indicator. We often observe clients (especially busy parents juggling careers and kids) leaving management of their finances on the back burner. Mixing sleepless nights with long work hours can mean that even though our bills magically get paid each month, the dirty ‘b’ word – ‘budget’ – is rarely spoken or thought of. Let’s change that and… start talking about it! Q. How do you create a budget? A great starting point is to contact us for our BUDGET ORGANISER! Print it off so you and your family can sit down, list your expenditure and income and see where your money is spent and where you could save. This could take as little as 20 minutes BUT could potentially save hundreds if not thousands on debt repayments and other expenditure. Isn’t that worth it? Ensure your budget is realistic by estimating future expenses from past expenses and track your regular and incidental costs for a few months. Cater and plan for these expenses. Q. What are the next steps? Money is often blamed for being one of the main causes of relationship problems and breakdowns… or is it? Many experts agree that it’s really a lack of communication skills and compromises. Honest and open communication between partners is a key component of controlling joint finances. With both parents often now working, each person may have their own credit card or other personal debt. It is essential you are both honest about debt and where you are spending your income. Discuss your joint personal dreams and long term financial goals. Looking at the bigger picture helps you decide if you are both prepared to make sacrifices to your current lifestyle (however small) to achieve long term wealth. Remember you both need to be financially responsible AND financially satisfied. More often than not, common financial ground can be found through communication. Once you have agreement on your family budget you can REALLY start to manage your finances. Remember, if you have credit cards or personal loans, payments MUST be made on time to avoid negatively impacting your credit history. Q. What if we don’t understand HOW to control our finances? If your budget is complex then seeking independent advice from a financial specialist is another important step in taking control of your finances. As your finance broker we can help you with that. A trusted adviser can often identify areas of improvement you sometimes aren’t aware of. Q. What if our finances are OUT of control? Many of us fall behind with our finances at some point but it’s important to be proactive when we’re struggling to pay our bills. The most common mistake we see is that clients with money problems pretend it’s not happening. They avoid calls from their lender and won’t even tell us – their finance broker – about their financial stress. Taking control involves more than creating a budget – it is essential to face the problem and do something! By law, credit providers have to offer temporary financial assistance when we have proven financial hardship, eg if someone in the family has an accident resulting in a temporary change in income your lender may approve a temporary financial assistance package. Subject to approval, banks can offer a short-term freeze on consumer accounts to help you during the time of hardship. Getting your money under control isn’t hard, but it DOES take discipline to regularly sit down and honestly evaluate your finances. Start that budget TODAY and speak to BOTH your partner and to US! Don’t let money control you: you control your money. http://www.indigofinance.com.au/wp-content/uploads/2017/02/Superannuation-Out-of-Sight-Out-of-Mind.jpg 210 299 IndigoFinance http://www.indigofinance.com.au/wp-content/uploads/2017/01/indigo-finance-logo.png IndigoFinance2017-07-24 21:31:462017-07-24 21:31:46How do we get our finances under control? Get Ready to Knuckle Down! You have probably noticed in recent months that financial institutions have started to increase interest rates independently of the Reserve Bank’s decision to keep the cash rate on hold. 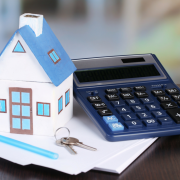 Not only are interest rates increasing but financial institutions are now starting to significantly change the lending rules and criteria sometimes on a weekly – and even daily – basis. If you have been sitting on the fence waiting for lower interest rates or looking to refinance your debt, then your opportunity may already be lost. We are finding loans that were easily financed only a few months ago are now not being approved by many lenders. What is driving the constant changes? At a time of record low interest rates you would expect the news for borrowers to be all good! Instead, lenders and regulators tend to become very nervous about how borrowers will manage their debt when interest rates eventually rise, so they take steps to lessen the impact. Bank lending rules are not a set and forget. Lenders introduce changes over time largely due to funding pressures. In addition, APRA (Australian Prudential Regulation Authority) has continued to exert pressure on lenders in an effort to slow down lending in a low interest rate environment. With constantly shifting goalposts there has possibly never been a more important time to regularly review your home loan and take steps to protect yourself from any future mortgage stress. What are the signs of potential mortgage stress? If you are living week to week now, you will not survive a rate increase. CALL US URGENTLY before it is too late. If you have multiple investment loans and are highly geared, DO NOT CALL YOUR BANK FOR A REVIEW – you could end up in a worse situation. Call our office. If you have an INTEREST ONLY loan coming off the fixed interest period, CALL US URGENTLY. IF YOU HAVE ANY FINANCE COMING OFF the fixed interest period in the next 3-6 months. Call us. If you have a loan approval in place that is older than 1 month, call us to confirm your approval terms HAVE NOT CHANGED. If your credit cards are maxed out and you are struggling to pay out the balance – yes, you too need to call us. We do all the research (that takes time and patience) to understand different lending products and can recommend several options for you across many different lenders. Your bank can not do that. We are a professional service provider and we educate you throughout your finance journey with us and beyond. When rapid changes are happening in the world of finance, we are best equipped across the range of lending products to help you identify how to get through these changes and come out singing! These are interesting times and although we are currently in a low interest rate environment, that doesn’t stop the landscape from changing. You are best to catch up with us at least every 18 months – preferably every 12 months. Even just a 10 minute phone call to the office may help relieve the stress of not knowing whether you should be taking action. It is much easier for us to help you BEFORE mortgage stress sets in. Please do not leave it until it’s too late for us to review your finance. Call the office TODAY because we are going to be busy over the coming months. If you have friends or family, please forward this article on to them as well. We want to help everyone else you know who has a mortgage to be informed. http://www.indigofinance.com.au/wp-content/uploads/2017/05/IF-Article-29-05-17.png 788 940 IndigoFinance http://www.indigofinance.com.au/wp-content/uploads/2017/01/indigo-finance-logo.png IndigoFinance2017-07-17 20:59:272017-07-17 20:59:27Get Ready to Knuckle Down! A capital gain (or loss) on an asset is the difference between what you paid for it and what you receive when you dispose of it. Tax is payable on any capital gain. CGT applies in the financial year that an asset is sold and forms part of your income tax. It applies to all assets acquired since 20 September 1985. • deduct any CGT discounts or entitlements that apply to you. The resulting total is the net capital gain that is subject to tax. The most significant exemption is your main residence – there can be exceptions to what is classified as a main residence. As a general rule a property is no longer your main residence once you stop living in it. You should keep records of all expenses associated with your family home – just as you would with any other property. In the case of certain events, eg a marriage or relationship breakdown, you may be able to roll over a capital gain from a CGT event until another CGT event occurs. 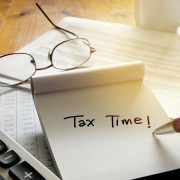 It is essential you speak to your taxation specialist to determine exemptions or rollover eligibility that may apply to your individual situation. Have you ever hosted Airbnb guests? Companies such as Airbnb and Stayz have opened up a whole new world of short stay rental opportunities for some homeowners and investors, however many people are unaware of their tax obligations. It pays to be aware! The sharing economy is now very much on the radar of the Australian Tax Office and they are using advanced data matching technology to track such income. The ATO advises: When people rent out all, or even part of their residential home, they become liable for CGT when they eventually sell their house or apartment. CGT applies to the proportion of the floor area that is set aside to produce income and the period it is used for that purpose. Property owners could also be at risk of fines for unpaid income tax if they don’t declare extra income for short term rental arrangements. There was a recent proposal for the government to halve the current 50% CGT discount and restrict negative gearing on investment properties. While this was rejected by the government there is potential for property investment strategies to be back under the spotlight in the future or under a different government. Property investors should keep abreast of proposed changes. Remember, as your finance specialist it is our job to keep up to date with finance and property investment market changes. Have a question? Then give us a call today! Planning for Retirement – Will you have enough money? However, 66% of respondents also said they are worried about having enough money in retirement. This is a concern for many of us as almost 80% of Australians over 65 receive the Aged Pension. For 66% of those retirees the pension is their main source of income. Coincidence? That’s fine. You can make goal adjustments along the way. In fact, a retirement plan shouldn’t be a ‘set and forget’ strategy. 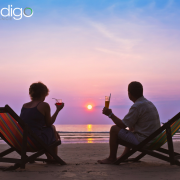 Chances are your imagined needs in your 20’s may look quite different by the time you reach your 50’s. For most of us this means being able to pay bills without financial stress, the odd holiday, maintain a house and car and an occasional indulgence. You will generally require 60-80% of your pre-retirement income to lead the type of active life you probably desire IF you have paid off your mortgage. It was previously assumed the first ten years of retirement would be your most active AND most costly. With longer life spans and an increase in the chance of health or mobility issues this could change. http://www.indigofinance.com.au/wp-content/uploads/2017/07/IF-03-07-17.png 788 940 IndigoFinance http://www.indigofinance.com.au/wp-content/uploads/2017/01/indigo-finance-logo.png IndigoFinance2017-07-03 18:54:472017-07-03 18:54:47Planning for Retirement - Will you have enough money?